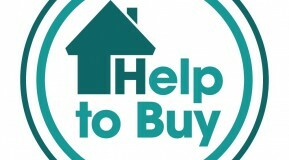 Not to be confused with the Governments Help to Buy ISA, the Help to Buy Scheme is another Government initiative to help those who want to get on to the property ladder, as well as those who are already on it. The Help to Buy Scheme aims to make it possible for those wanting to buy a new build or existing home up to the value of £600,000, with as little as 5% deposit. Note that there are other options available with regards to obtaining a mortgage however, for this post we will concentrate on the above two. Financial Advice should always be sought when looking at your mortgage options to ensure you obtain the right mortgage for your circumstances. This scheme has been introduced to encourage mortgage lenders to lend to those individuals who has enough income to be able to repay a mortgage but are struggling to be able to save enough of a deposit. With this scheme, the individual will own the property outright and will need to raise just 5% deposit to qualify. So, how does it work? The Government offers the mortgage provider a 15% ‘insurance guarantee’ on the mortgage being offered. The individual puts down the 5% deposit that they have saved and in turn the lenders who have singed up to the scheme are able to offer more high-loan-to-value mortgages. The individual will be fully responsible for all the mortgage repayments and will still be taking out a 95% mortgage that will need to be repaid over the term. The mortgage applied for must be less than 4.5 times the individual’s income. This may be a good option if you’ve managed to save up a 5% deposit and you want to buy a new build. As long as an individual meets the criteria, the Government may offer a 20% interest free loan which will enable the individual to apply for a mortgage for the remaining 75% of the house value. As the individual will be applying for a 75% loan, rather than a 95% loan, this will give them access to more and usually cheaper deals on the mortgage market. It is important to note that the interest free loan of 20% from the Government is only interest free for the first 5 years and that from year 6 onwards interest will be charged on the loan. It’s therefore important to ensure that this would be affordable in the future. The debt is then repaid either when the individual moves house or at the end of the mortgage term (whichever comes first). The debt always stands at 20% of the house value even when interest has been paid on the loan therefore, the Government will absorb any loss or gain which the property value accumulates. This could result in an individual paying back a lot more than they borrowed initially. This Scheme is available to both first time buyers as well as those looking to move home but only when purchasing a new build up to the value of £600,000. The property won’t be able to be sublet nor can the individual enter into a part exchange deal on their old home. They should not own any other property at the time they buy their new home with a Help to Buy equity loan. All the information above is provided to be a guide only and not to replace professional financial advice. If you need advice or are looking to buy your own home why not get in touch to see if we can help?